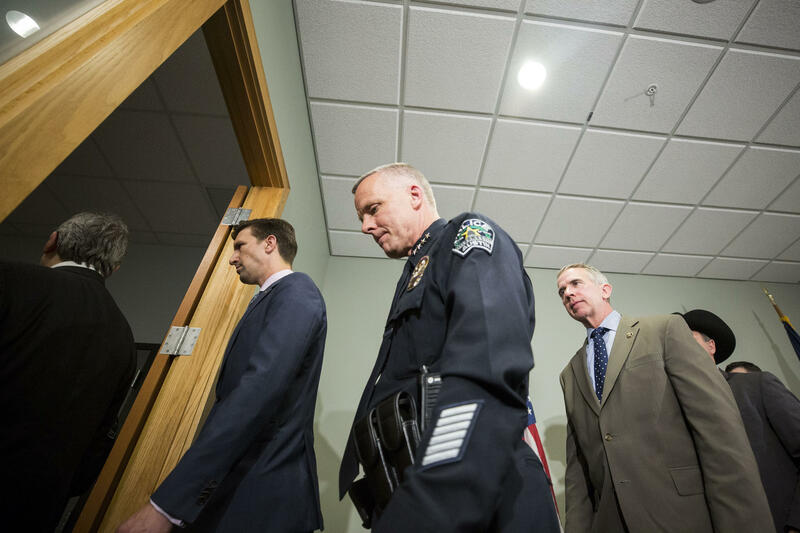 Interim Austin Police Chief Brian Manley exits a news conference to deliver the latest on the serial bombings investigation. 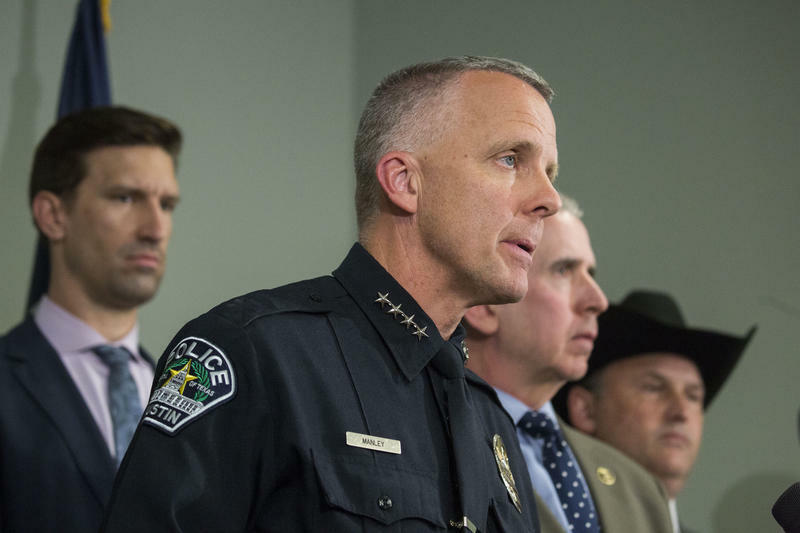 For more than a year, Brian Manley has been serving as Austin’s interim police chief. Now, voices are growing louder to make that role permanent. So loud, in fact, that Austin’s city manager has said he expects to update people about the chief’s job in the near future. David Roche, president of the Austin Crime Commission, was among people supporting Manley during a City Council meeting Thursday. The “it” he was referring to was the string of deadly bombings apparently brought to a close Wednesday when the bomber died in a police standoff. The end of that violent spree has brought gratitude to the department and encouraged Manley's supporters to call for his permanent appointment. City Council Member Delia Garza had even considered putting the question to a vote. “We need to make Chief Manley our police chief,” she said. But not everyone thinks now is the right time to offer him the job. “It makes no sense to make an appointment as serious as this in the immediate aftermath of something so complex and fast-moving,” said Chris Harris with the criminal justice reform group Grassroots Leadership. 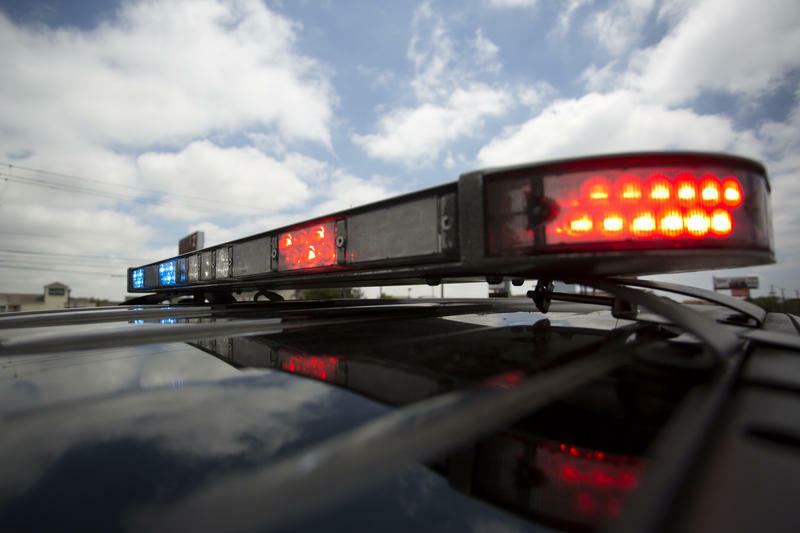 “If we don’t take the opportunity to get whomever will be the next chief to be on record as supporting policies that reflect the values of the community," Harris said, "then we’ve lost an extremely valuable opportunity to ensure we improve our police force." Then there’s the issue of how police handled the bombings. Manley's supporters say stopping the bombings justifies his permanent hire. “Just seeing Chief Manley once again exhibit such amazing professionalism, amazing concern and care for our community,” Garza said. “I thought it was an opportunity to start that conversation" about hiring him. But others think the police stumbled in the investigation. 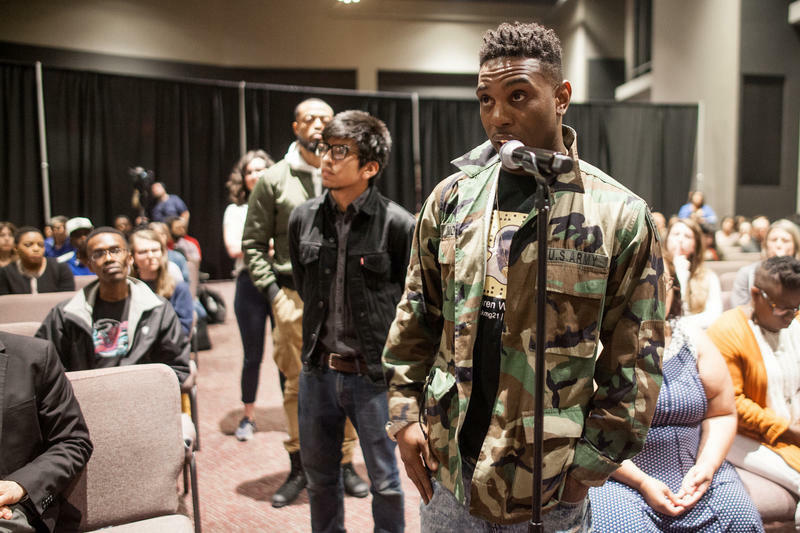 At a community forum hosted last week by Austin Black Lives Matter and the Austin Justice Coalition, some residents said they thought the police response to the bombings was muted at the start, when only black and brown Austinites were targeted. 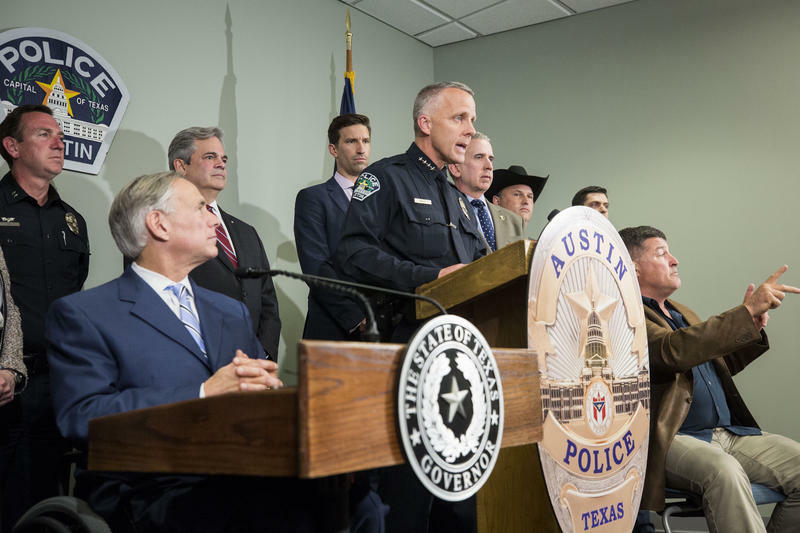 Others were angry that APD had at one point suggested that one of the deaths could have been a suicide. It’s those people, said Harris, who would feel especially sidelined if the city moves to quickly make Manley a permanent chief.